Tumblr is one of the biggest social media platforms around and for good reason, but it also provides a huge amount of authority and respect in terms of backlink power. Now that Tumblr SEO has been around for a few years now, here’s how the site has grown into one of the best web 2.0s to use for backlink building. Initially, Tumblr was a blogging platform that united fandoms, spread the awareness of social justice and became a place to voice opinions among other elements. Now that Tumblr averages over 260 million blogs (as of October 2015) it surely stands in good stead to be one of the biggest blogging platforms of 2010’s. 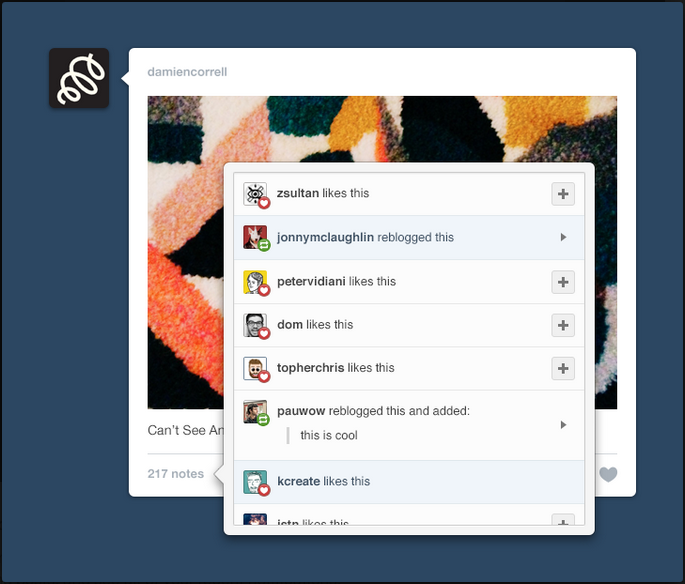 The use of the reblog, like and its latest installment, an instant messaging service, has brought Tumblr to be in contention with Facebook, Twitter, Pinterest and others in the social media world, but it’s not without its own unique spin on social media. Before it was bought by Yahoo, Tumblr was the lovechild of WordPress, Facebook and Pinterest. It was, and still is, a blogging site (like WordPress) where you can like and share certain posts (like Facebook) or you can reblog them onto your own blog and others can reblog them from you, or you can post your own content (like Pinterest except you only have one “board”). It’s added features and removed others since then (whether that was a direct effect of Yahoo’s choices we can only speculate) but its primary purpose is still the same as when it began. To find new content all you need to do is search for that key term, which you can add to your own posts using the hashtags. These posts still receive a heck of a lot of traffic as people navigate through each tag on a regular basis; if you’re a Harry Potter fan and wanted to share your artwork for example you can expect to see a heavy amount of traffic when using the appropriate keywords. It has grown a lot, whilst maintaining its sole purpose. It’s established itself as a go-to place for all your fandom needs but also incorporates humour (in the way of memes and when BuzzFeed makes a post about them they rip into it), incredible artwork, gifs from your favourite TV shows and films and highlights popular news stories as and when they happen. Therefore, it also inevitably turned into a vacuum for social justice – both positively and negatively. It now also has its fair share of spam blogs that are working like spam Twitter accounts to spread awareness of products, services, etc. 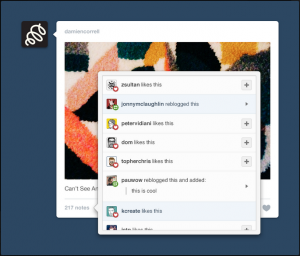 Regardless of the way Tumblr has turned it’s still a valuable asset for SEO and here’s why. Whenever you make a post and it’s reblogged by others it is always linked back to the original poster as a dofollow link. The most popular of posts have over 1,000 notes (notes are an accumulation of likes and reblogs), meaning you’d have over 1,000 backlinks to your post – cool right? How to do this is also incredibly easy on a platform that can make content go viral very easy; including hashtags as your keywords and producing good content will land you in good stead to get you some, if not a lot, of dofollow backlinks. Like Twitter, you can explore hashtags that are current (as of January 2016 it’ll be New Year posts, Star Wars opinions and just-shower-thoughts, am I right?) but also relate to whatever you are blogging about too. If you’re a video game blogger for example you’d expect to find posts related to your most reblogged video game posts and tags that you search on the regular. This way you can gain followers at a fast pace, and they’re in your niche too. The hidden beauty of Tumblr is that even aged posts can get traction, for example I posted a meme over two years ago and lately it gained over a hundred new reblogs oddly overnight! That said, even if your post doesn’t reach the number of reblogs or traction you want then people can easily scroll past it and move on to the next post. You can write quotes, post music, videos, links, text posts and things that SEO companies don’t think of in the first place. Tumblr has opened the market for new ways to market a business in a different way to standard methods which is great for companies that want to expand their content distribution even in smaller ways. With an authority level that you ought to brag about as well it can attain heaps of traffic from small posts that can link back to your site incredibly easy. Probably because from the outset it feels like Tumblr attends to the needs of more than just the average blogger. It goes further with its range of posts that allows for broadening your content in a big way along with the ease of gaining backlinks. As it acts like a WordPress site it has gained its authority from building it that way which has worked well for its reputation aside from the many spam accounts that you do find on Tumblr (which haven’t been dealt with efficiently as of today). With a new lease of life into social media that has both blogging and social aspects combined to create a user-friendly platform, Tumblr works well for almost everyone in the SEO world no matter how big or small your niche is. With a quick search of your own niche you’re away and soon you’ll be creating memes, or high quality content, that’ll help your site boost in rankings. Next Next post: Penguin Power: What’s Next For Google’s Algorithm?